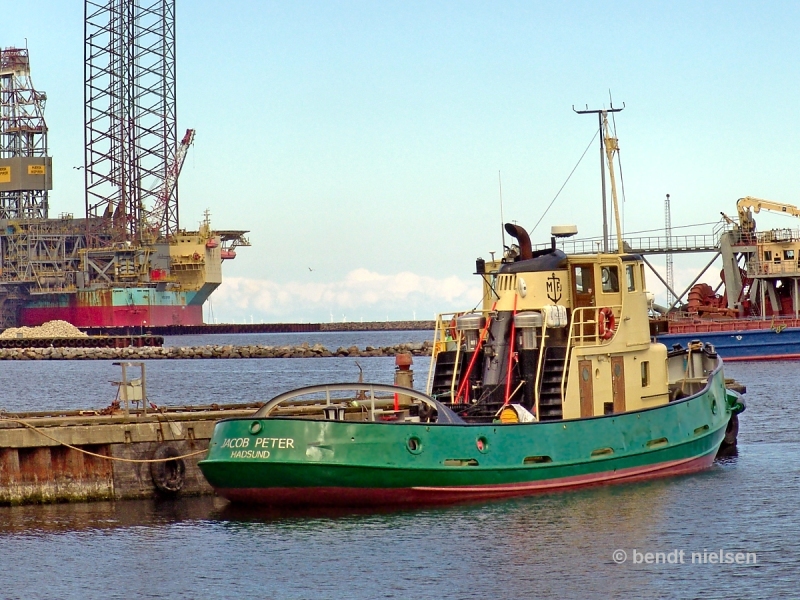 JACOB PETER is seen here at the dock at Grenaa Shipyard Ltd / Denmark. JACOB PETER was thoroughly renovated in 2012 with new main engine, generator and electrical installations. The tugboat is located in Hadsund Harbor, which is located in Mariager Fjord / Denmark and is jointly owned by the small ports located in the Fjord, which is the work area. In the background, MAERSK INSPIRER - IMO 8765280 is in the process of getting a service check.